Casting Call Club : Mega Man: The Motion Comic, Book 1 "Let The Games Begin!" Casting Call for Mega Man: The Motion Comic, Book 1 "Let The Games Begin!" Mega Man: The Motion Comic, Book 1 "Let The Games Begin!" 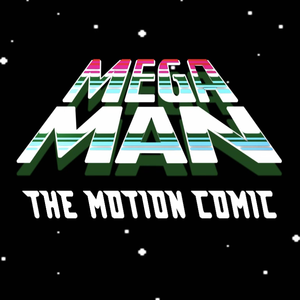 About Mega Man: The Motion Comic, Book 1 "Let The Games Begin!" Any auditions that do not meet requirements will not be considered. Please read the requirements fully before auditioning. 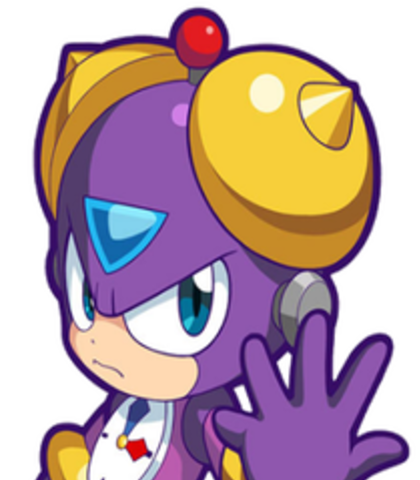 "Dr. Light wanted to build a better tomorrow with his new Robot Masters, but the evil Dr. Wily reprogrammed them to take over the world! Now it's up to one little robot to save us all -- Mega Man!" 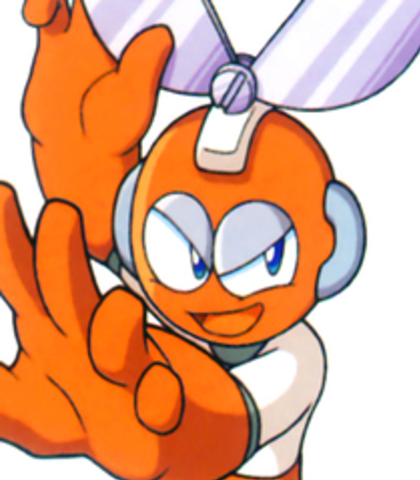 Mega Man Motion is a fandub of the first Mega Man graphic novel produced by Archie Comics, presented like a motion comic. This is in celebration of the franchise's 30th anniversary. 1.) Good mic quality, recording and/or basic audio editing knowledge. No background noise, no peaking, no pops. Period. I have a little bit of tolerance for this, but not much. I'm looking for at least semi-professional quality here. Also, please don't use voice filters. These characters may be robots, but they speak like humans. 2.) Must be ready and willing to dedicate time to the project by whatever means necessary. I will also be doing live recording sessions over Skype. This may be a fan project, but that does NOT mean you get to blow it off. 3.) No. Drama. Period. You start a fight behind the scenes, and you're out. I will give you all the respect in the world as a director, as long as you do the same for me. As this is a fan project, I will want it to sound like the real deal. So I have provided references to go off of. You have a bit of wiggle room for creativity and don't have to do a straight impression, but keep the official actor's inflections and tone in your mind. Check out my Patreon as well! 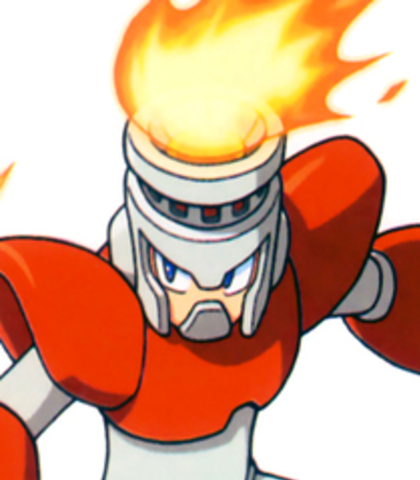 A charismatic robot who wields flame. Fire Man sees himself as a hero, and is obsessed with the idea of justice. He even calls himself "The Flames of Justice". The heat extends to his personality as well. No! He is right! The flames of justice will not burn him!.... It's a metaphor! A hopelessly romantic robot who shoots frozen blades from his mouth. Ice Man is self-centered and loves to show off, even when it just ends up making him look silly. He especially does this to try and win the love of Roll. This place is mine! Doctor Wily said I could keep it! And once you're frozen, you'll be mine, too! (charming) It's been so lonely out here in these frozen wastes... but you being here warms my heart! A daredevil robot who throws bombs. Bomb Man loves to fight, and can be pretty reckless. This is only because he loves thr thrill of battle, though: in reality, he can hit any target with ease and pinpoint accuracy. I like your look, kid. Not a bad entrance, either. But if you really want to make an impression... (attacks) You've gotta enter with a bang! A sharp-witted robot who can cut through virtually anything. Cut Man is cunning and knows how to use his surroundings to his advantage. However, he can be pretty stubborn and tends not to listen to others. What, still need advice at the eleventh hour? CUTTING it a little close, don't you think? Didn't get that? I guess you aren't so SHARP after all! Dr. Light would really...take us back...? I think he's right. Let's cut out all the fighting. An egotistical robot who controls electricity. 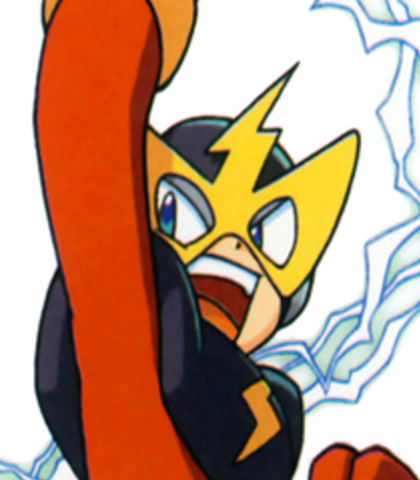 Elec Man is the most competent of all the original 6 Robot Masters, hailed as Light's greatest creation before Mega Man came to be. Under Wily's control, he becomes a twisted, sadistic foe, but even by default, he is a conceited, self-centered being. Oh, I did one better. I gave myself access to all the power conduits in this facility! When I do THIS...(powers up)... I turn the entire power plant into an electrified trap! (menacing) Sorry, kid, but I see my jobs through to the end. A hot-blooded robot who attacks with slick oil. He's the polar opposite of Time Man: talkative, carefree and reckless in how he approaches situations. However, don't let that fool you: he's as dangerous and deadly as they come. Aw, big daddy Light never showed you my file? No matter, sweet thing. You can just come along quietly, or I can take you to Dr. Wily in PIECES. Waddup?! Oil Man in the house with his mission accomplished. Check it, baby! A kind-hearted young girl. Roll worries about Mega Man all the time. Despite staying out of the action, she assists Mega Man any way she can, and at times protects him as if she's his big sister. 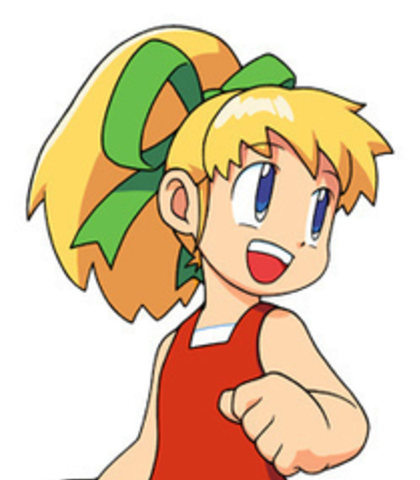 Despite her sweet demeanor, she's strong and independent enough to become just as big a hero as Mega Man himself later on. He sounds so sad and cold and--and--and...distant! He wasn't like that when he left! Rock! Mega Man! WHATEVER! Listen to me! You're NOT a bad robot! A bad robot would just do his job without caring! You're sacrificing everything for everybody! That makes you the BEST robot! An perfectionist robot who can slow time. Time Man is obsessed with time and its many quirks, and takes an overbearing, bossy tone with the other Robot Masters for being behind on schedule. He can get pretty irritable when things don't go his way, usually due to Oil Man screwing up. Dr. Wily activated us for a reason. We must move quickly. Time is of the essence. I've had to revise my meticulous schedule MULTIPLE times to allow for the margin of error created by your... Are you even listening to me, you arrogant, irresponsible dolt?! A diabolical mad scientist. 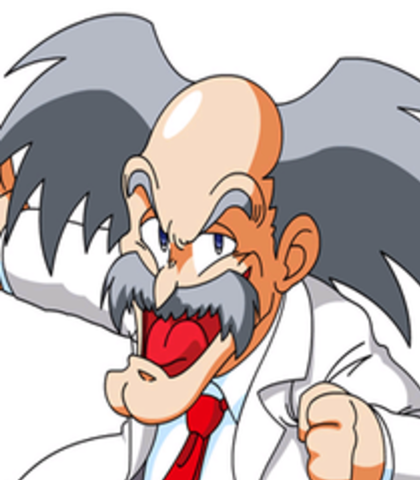 Dr. Wily is hell-bent on conquering the world and seeing his colleague, Dr. Light, defeated and broken. 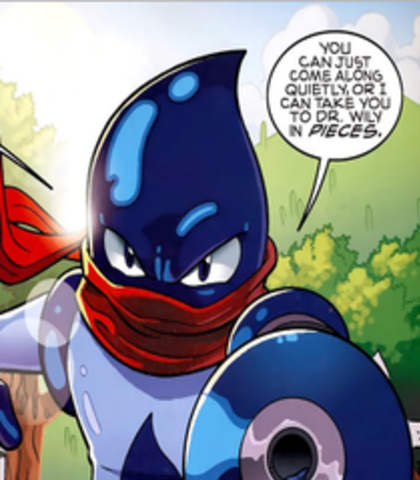 He is vain, arrogant, greedy and jealous of all the recognition Dr. Light has received. 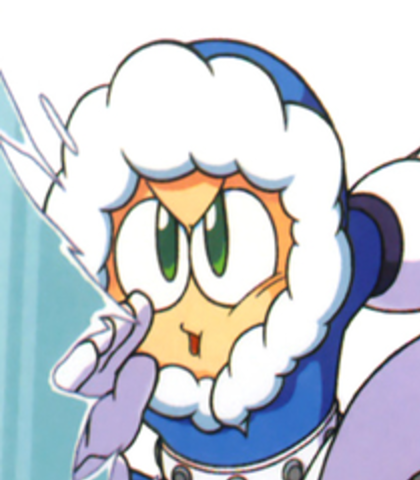 Despite trying to kill Mega Man multiple times, he has a soft spot, and refuses to kill Dr. Light, even going as far as to save Mega Man's life once. (villainous) Wha-ha-ha-ha! Do not attempt to look away, fools! Doctor Albert W. Wily controls the airwaves now! And soon...THE WORLD! (high energy) You're a helper robot, ROCK! You hand tools to COMPETENT people! You're no great warrior! You're a janitor! A go-for! A lackey! 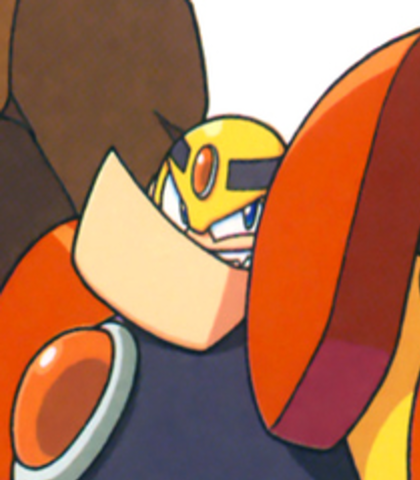 I could've stolen you with the rest of the Robot Masters. But I didn't. And do you know why? YOU WEREN'T WORTH THE EFFORT! (reserved) Well...You've won, Thomas. In the end, the brute force of your robots conquered the cunning of my genius. I will at least die with the satisfaction of knowing I was the better man. A proud, hardened robot with herculean strength. 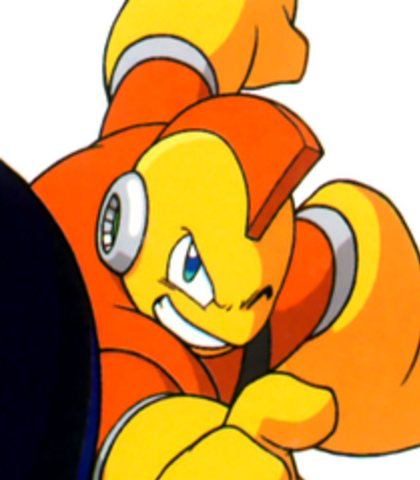 Guts Man considers himself a manly man, and will mock those weaker than him. When not under Wily's control, he has a heart of gold. He's much smarter than he looks and cares deeply for his fellow man, preferring to avoid an argument. He also loves karaoke. I like that. You got guts, little guy. Shows you're MANLY. But not as manly as me! You won't beat me 'cause I'm the STRONGEST! I don't need your "logic"... (attacks) 'CAUSE MY HUGENESS IS SUPREME! Pah! Bunch of puny lasers! Men don't go "pew-pew-pew!" Men PUNCH-STOMP-CRUNCH!